Get a FREE 8 x 10 collage from Walgreens. Order online and use code FBCOLL. This offer is good today and Fri.
coupons, specials/promotions, sweepstakes and more from Dollar General. about new products and special offers. pay only for shipping and processing. Great coupon like this go fast so sign up today. Save with coupons plus 10% Cash Back on Gap orders. Ebates is a great way to make your money have more power when you shop online. 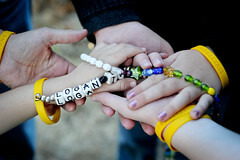 If you would like to sign up to be on Logan's team for the Light The Night Walk here is the link.